As many of you will know, Maggie has been selected as a core artist in this year’s Ballarat International Foto Biennale. Maggie’s show, now officially titled One-way Ticket, will be held in the Old Mining Exchange – a glorious heritage site in the heart of the town and the festival. The BIFB opens on August 20th, 2011. Hotels are already booking up fast, so make some plans now. We are hoping to do a floor talk on the opening weekend, so if you’re interested in attending, post a comment on the blog and we’ll try to make it happen. Maggie will certainly be in Ballarat for the official opening event. We’re currently faced with the daunting task of making our final selection of images for bifb. The above image was taken on a trip to Sydney in the mid 60s when the Opera House was under construction. 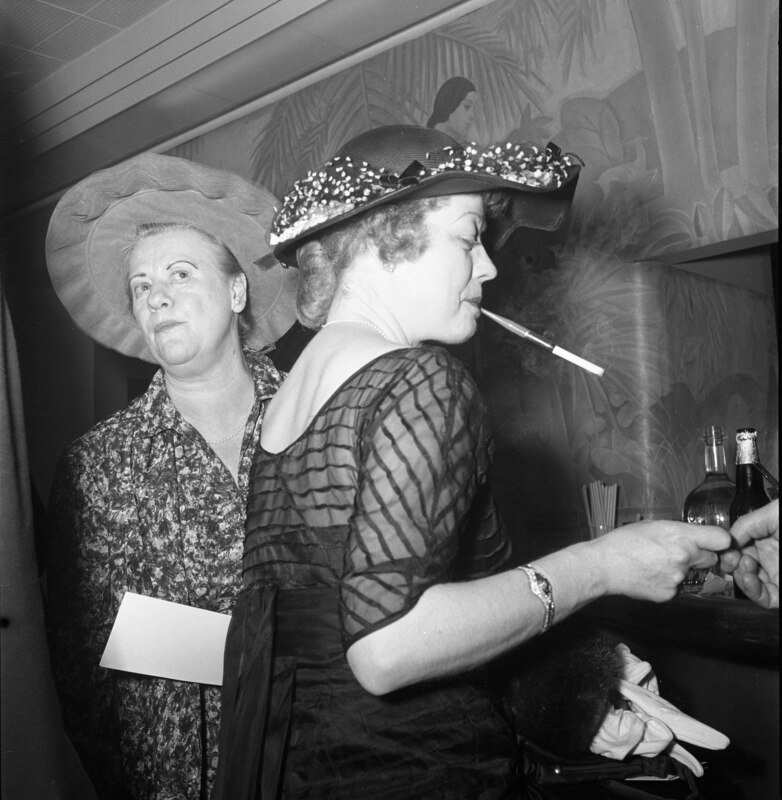 Below is ‘Ladies at the Bar’, Tavern Club Chicago c1957. 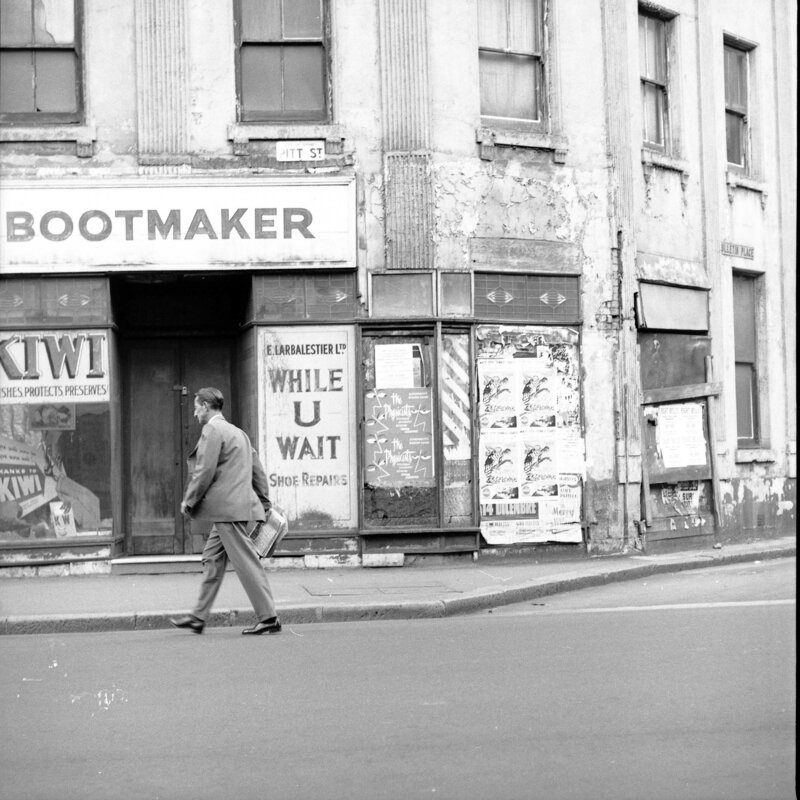 On April 1st, 2011 we visited The State Library of Victoria to hand over the second batch of nearly 1500 negs. 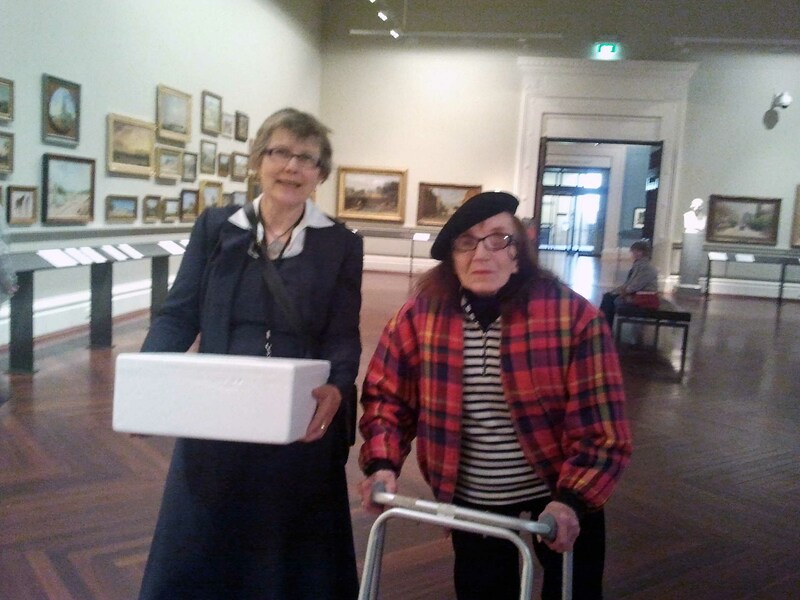 Here is Maggie with Madeleine Say, Pictures Collection Manager. Last week I completed scanning and compiling of batch 3, which was nearly 3000 negs – that’s an approximate total of nearly 6000 negs handed over so far. No wonder you haven’t heard from me lately! Some highlights of the last 3 batches to follow…there are plenty. It has been an exciting time discovering even more unseen Diaz images.